The Alcatel-Lucent 7450 Ethernet service switch delivers powerful functionality to customers at the edge and core of your network, empowering you to deliver the services and reliability you need while creating proper revenue opportunities for high-end carrier services. It’s a strong solution so you can provide the high-performance networking capabilities well suited to data centers, cloud applications and branch-office functionality your team needs. 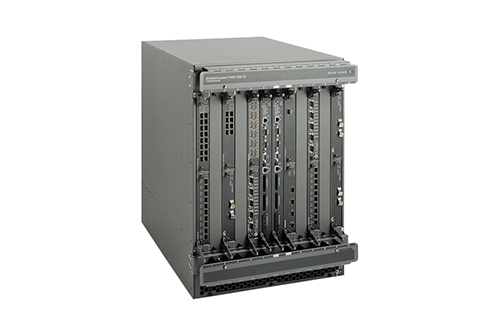 Refurbished Alcatel-Lucent 7450 from Worldwide Supply can help you affordably offer the best services your customers demand right away. With 2Tbps and 4Tbps capacities, plus being equipped with high-density Gigabit Ethernet at 10GE, 40GE and 100GE interfaces, you have the strength you need for a more reliable service, satisfying even the most demanding of customers. The Alcatel-Lucent 7450 Ethernet also offers comprehensive carrier Ethernet and IP/MPLS capabilities for advanced Virtual Private LAN Service and Virtual Leased Line services for customers who want to control and deliver their own applications on your network. Worldwide Supply provides carriers and service providers with refurbished Alcatel-Lucent 7450 switches brought up to OEM standards so they can support always-on service delivery. We’ll ensure your network meets the most robust benchmarks for high availability with SR OS support and a variety of network stability-enhancing capabilities. Get what you need with non-stop routing, non-stop services, in-service software upgrade support and multi-chassis resiliency mechanisms. Your network and your customers will be pleased with extendable service intelligence that’s designed to protect investments in infrastructure as well as revenues with full asset utilization and better delivery of what your customers demand today.